I knew the kids and I would be out and about all summer long. The biggest thing I always hear is “I’m Thirsty!”. We are going to take care of that problem right now. 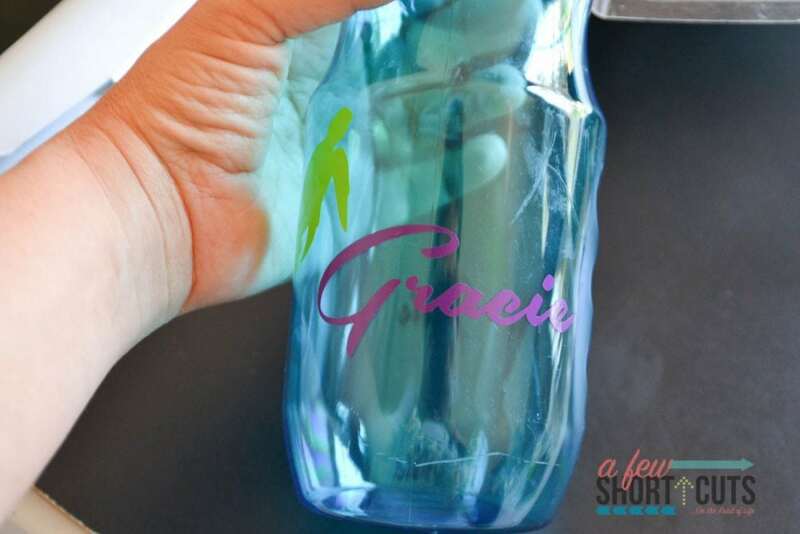 We made them each their own Personalized Water Bottle. I have been keeping them full of water and in the fridge ready to go on a whim. 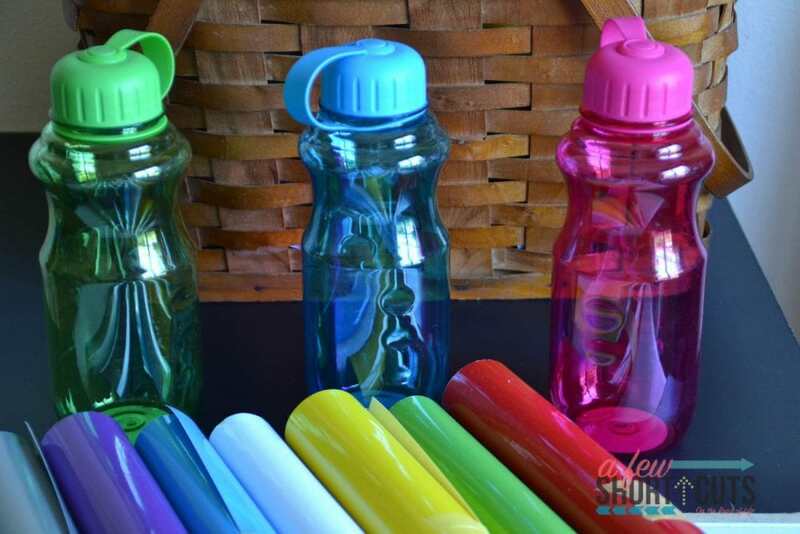 I went to the Dollar Tree and found these great water bottles for $1 each! Seriously! $1! If you are wanting these for a party you can order them online by the case and actually have them delivered right to your door! Who knew Dollar Tree has online ordering?! 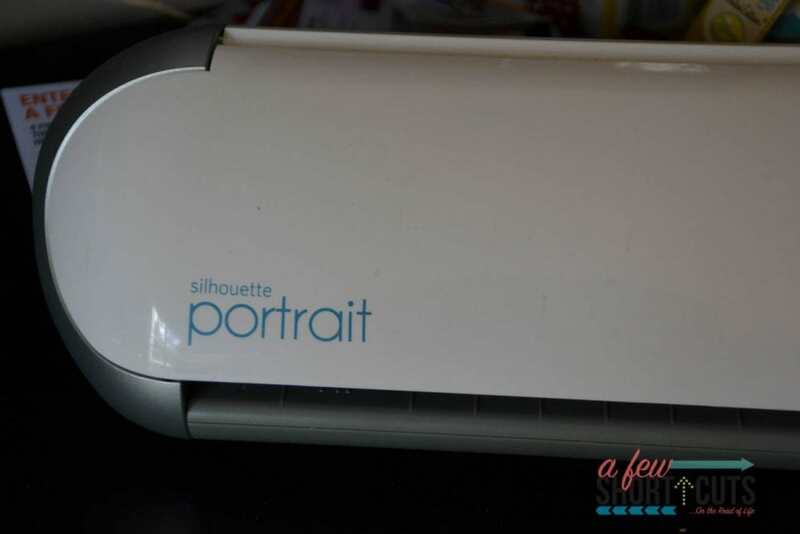 I then pulled out my Silhouette Portrait and got creative with the kids. I let each one choose their preference of sea animal and font for their names. I figured since we will be going to the beach the most, how cute it would be to have sea animals. I used the following fonts to create my designs. All are FREE to download. I just created the design right in my Silhouette Designer on my computer. 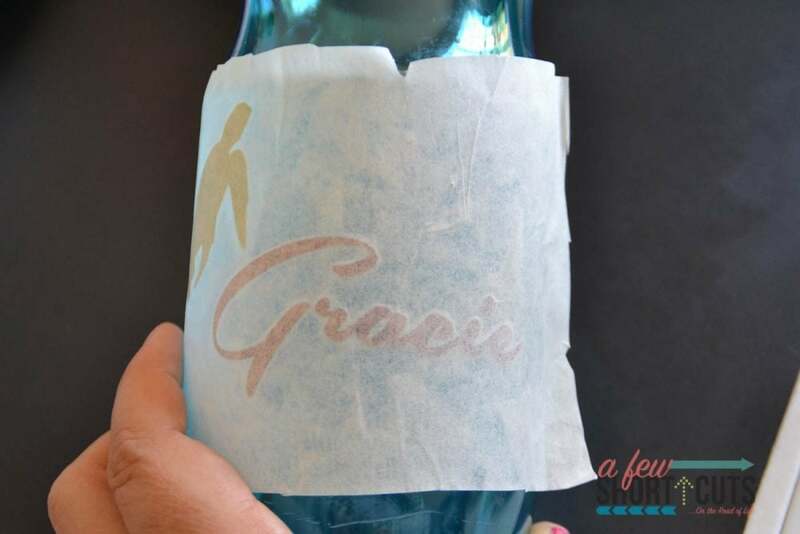 I choose to use Permanent Outdoor Vinyl so that these would withstand washing and the wear and tear of the summer. I found a huge selection of Summer colors at Expressions Vinyl! You should check them out. They seriously have the biggest selection I have seen. 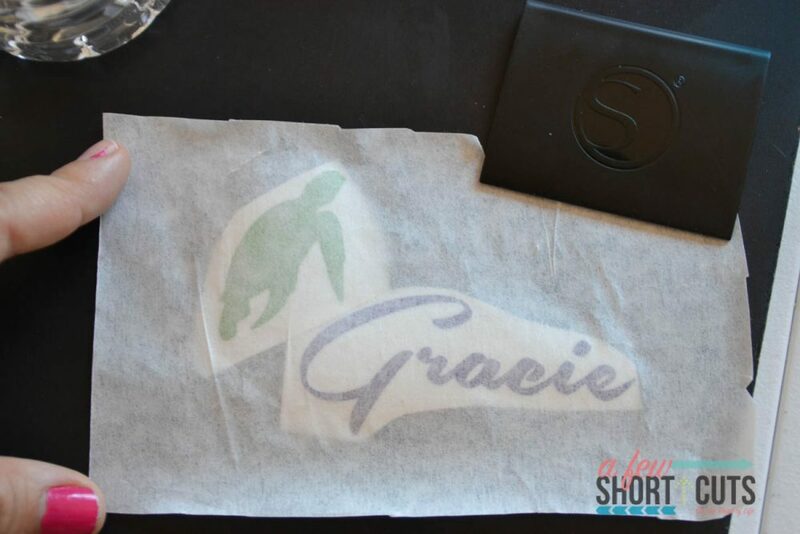 I set the cut vinyl out in the layout I wanted on my transfer paper. I know it is kind of hard to see with the glare, but these turned out perfectly! 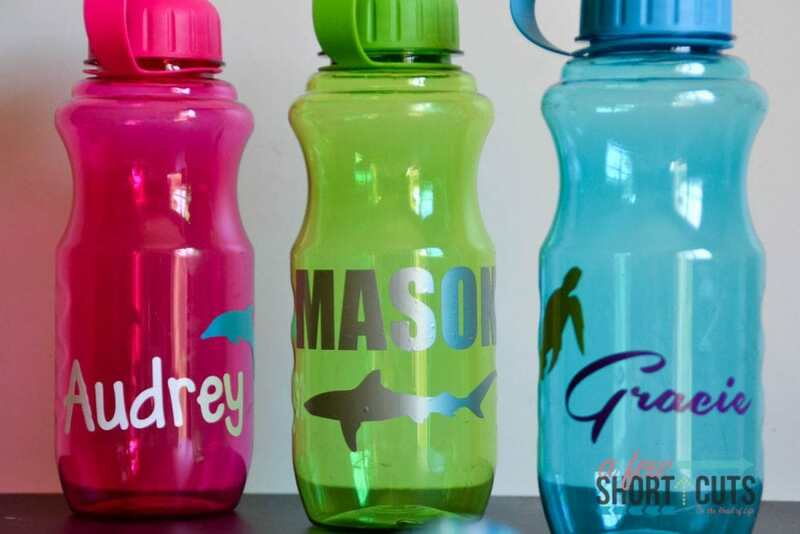 I have a feeling we are going to be personalizing all kinds of items this summer now that the kids know how easy it is. 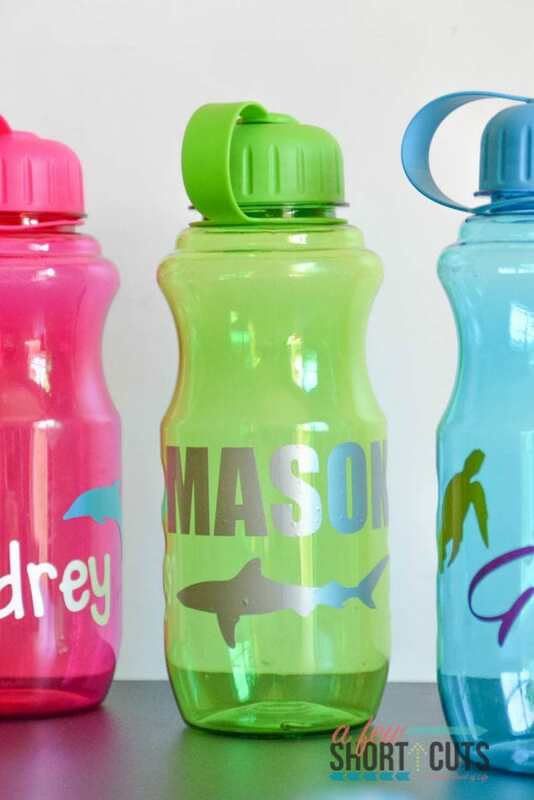 These personalized water bottles would be so cute for a birthday party! At only $1 each and the cost of the vinyl they are affordable too! How did the vinyl hold up? It has actually held up really well. I have been hand washing, but did put them in the dishwasher the other day and they came out all in one piece. I used the Outdoor Waterproof vinyl. Hope that helps.